The Herero and the Nama Seek Reparations: What Do Historians Have to Say about the Genocide? Since the 1990s there has been a virtual academic consensus that a genocide was perpetuated by Germany during the Herero and Nama War. But the question of responsibility and continuity are still being debated. In the last two decades, the Herero and the Nama have sought justice, recognition and reparations from the German government for the genocide they endured at the beginning of the 20th century. Recently, they have taken their struggle to an American court, which started hearing their case a few weeks ago. The German government officially referred to the 1904-1907 events as a “genocide” only recently (in 2016) and still refrains from dealing with who was responsibility and rejects calls for reparation. Instead, Germany has attempted reconciliation through other channels, such as providing aid to the Namibian government and returning victim remains that were stored in Germany after the genocide. The historiography of German colonialism and Namibian history has witnessed fierce debate regarding the events that took place in Southwest African between 1904-1907. Still today, some historical questions remain. This short essay will try to identify the main debated issues of this genocide and will highlight the most important ideas of the historians who have researched this subject. We are saddened beyond words and grieve for the lives lost by the attack on the Etz Chaim (Tree of Life) Synagogue in Pittsburgh last Saturday. We are not surprised, however. You only need to glance at the vast literature on genocide and political violence to understand that in an environment of institutionally backed hate speech, the accumulation of hate crimes and smaller acts of bigotry, a major attack usually follows. 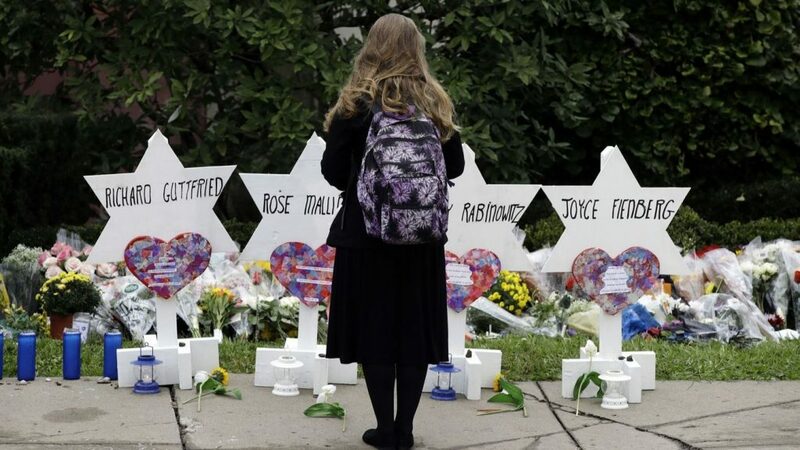 Earlier this year the Anti-Defamation League reported nearly 2,000 anti-Semitic incidents occurred , an increase of almost 60% from the year before and the highest rates in the United States in decades. In 2017, all 50 states reported anti-Semitic hate crimes, the first time since 2010. From Holocaust deniers running for Congress to the dramatic increase in white supremacist language on American campuses, anti-Semitism is becoming normalized. As the ADL Director Johnathan Greenblatt said on last Sunday’s ‘This Week’: “We are seeing an environment in which antisemitism has moved from the margins to the mainstream as political candidates and people in public life literally repeat the rhetoric of white supremacists.” Tragically, this hatred manifested itself again on Saturday in Pittsburgh, resulting in the deadliest act of violence committed against Jews in American history. Professor Philip Spencer once remarked that genocide robs humanity of diversity. This phrase has stuck with me for several years mainly due to its elegant simplicity. At its core, it suggests that we should care about genocide because denies us a chance to be diverse in the various forms and depths the word entails. Thus, a genocide against the Yazidis or the Rohingya means we lose cultures, religious practices, languages, bright futures etc. This simplicity masks the intense depth that it brings with it as well since it places the impetus on us and challenges us to consider how important a loss of diversity is to us. It is even more memorable because it does not seek to compare genocide and other atrocity events such as war crimes and crimes against humanity for it to sound profound. I am reminded of this conversation because it seems like that time of the year again, when various atrocities in Africa are trotted about and debates about whether they are genocides or not dominate the media discourse. To what extent is then the term genocide, and discussions whether the events fit the UN convention’s definition, inhibiting rather than enabling prevention and response? The Center for Holocaust & Genocide Studies recently organized a museum visit through its Human Rights, Genocide & Mass Violence (HGMV) Graduate Group to view and discuss works related to genocide currently on exhibit at the Minneapolis Institute of Art. In advance of the meet-up, CHGS did an interview with local artist, Rowan Pope. Rowan Pope is a lifelong artist from Minnesota. He and his twin brother, Bly, employ photorealistic techniques as a method of storytelling. Rowan addresses dark subject matter through his work, including portrayals of Franz Kafka’s novels and depictions of the Holocaust and the Cambodian genocide. He seeks to explore broad-ranging human emotions and to commemorate the lives of victims and survivors of violence through his art. “The Liberation of Buchenwald,” among other pieces by both Rowan and Bly, will be on display at the Minneapolis Institute of Art through October 28th, 2018. Staff, faculty and students affiliated with the Center for Holocaust and Genocide Studies at the University of Minnesota grieve the passing of Fern Badzin. Fern and her late husband Bernard established the Badzin Fellowship in Holocaust and Genocide Studies, which has supported for the last decade graduate students in the College of Liberal Arts committed to research in the field. Bernard and Fern also created the Badzin Lecture Series fund, helping to bring renowned experts to campus. 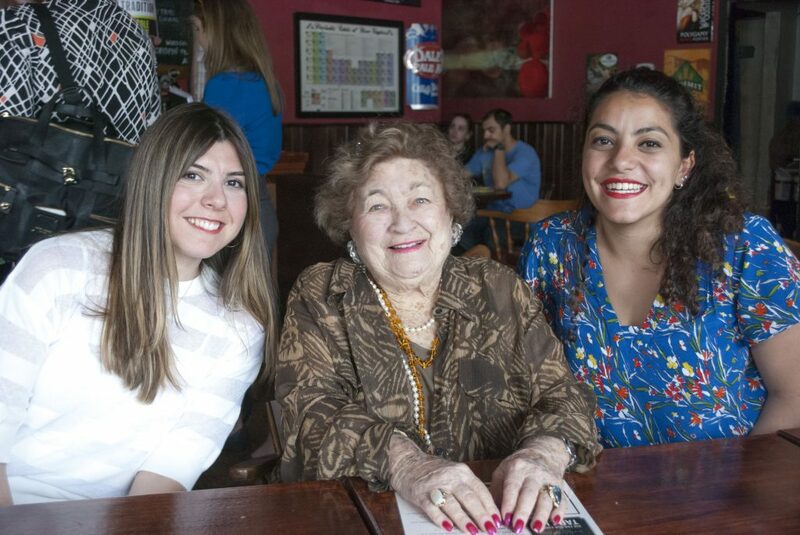 More recently Fern generously supported the Genocide Education Outreach (GEO) Program, which sends young scholars into the community to teach about the Holocaust, other genocides, and related issues directly affecting students and communities at large. Fern had a unique personality and generous soul that has impacted many of us in various ways. She was a warm, upbeat and delightful person and we were fortunate to have Fern as a supporter and participant at events on campus. She leaves us with many fond memories. CHGS will honor Fern’s legacy by continuing to support the professional development of graduate students, hosting community events and public lectures, growing the GEO program, and reaching ever wider audiences in our firm commitment to educate about the Holocaust and the recurrent problem of genocide. The 13th Twin Cities Arab Film Festival is upon us. The film festival is organized by Mizna and will run from September 27th to September 30th. This year, the festival commemorates 70 years since the nakba (Catastrophe), when 700,000 Palestinians were expelled from their homes in 1948. The festival features over 30 films from Syria, Iraqi Kurdistan, Egypt, Palestine, Lebanon, Jordan, United Arab Emirates, and the USA. Many of the screenings will be the premiere in either Minnesota or the US, with a special advanced screening of Capharnaum! Capharnaum is directed by award-winning Nadine Labaki, and tells the story of a Lebanese boy who launches a lawsuit against his parents for the crime of giving him life. Despite a profound list of films with award winning actors and directors, federal authorities have denied entrance visas to several actors and directors who were scheduled to visit the film festival. Below, we have compiled a list of films and events that may interest our readers. See the full schedule of the festival and buy the tickets here. When governments and citizens instead of being armed with weapons, are equipped with historical perspective they reshape our national and local discussions on the rationale for certain monuments and memorials. And if the end result of this public dialogue culminates in a towering figure being toppled, the sound is resounding. This past week, a Confederate statue fell on a college campus in America, but the Civil War I am writing about here is the one that still haunts Spain. 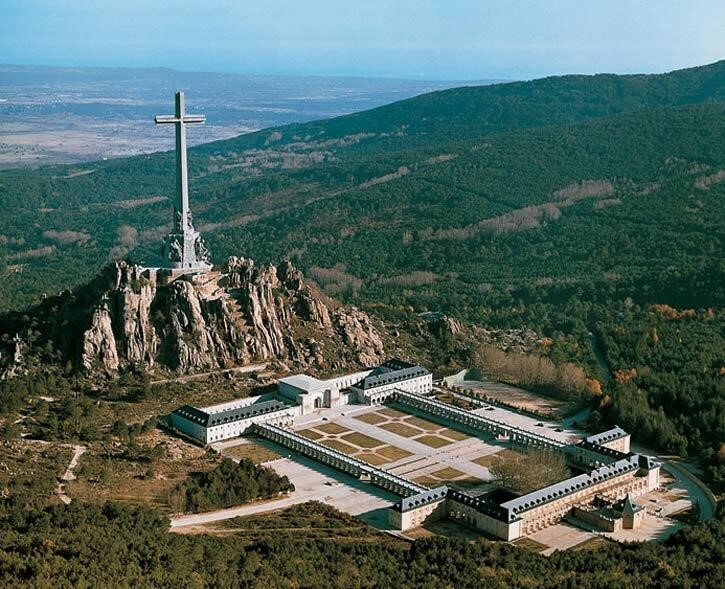 On August 24th the Spanish government of Socialist Prime Minister Pedro Sánchez approved a decree to exhume the preserved corpse of General Francisco Franco from the Valley of the Fallen, a gigantic mausoleum near Madrid that the dictator had designed to eternally enshrine his victory in the Spanish Civil War (1936-1939). The site is also the final resting place of Falangist Party founder Jose Antonio Primo de Rivera and contains the remains of some 35,000 civilians and soldiers, many of them Republicans executed by Franco’s regime, and transferred to the site on his orders. Why has it taken so long to decide to remove the body of a dictator from a sanctuary that celebrates and in essence beautifies his rule? And why now? Chad Alan Goldberg is Professor of Sociology at the University of Wisconsin Madison. His interests lie in the sociology of citizenship, including the development of rights and duties over time, changing levels and forms of democratic participation and shifting patterns of civil inclusion and exclusion. He is the author of Citizens and Paupers: Relief, Rights, and Race, from the Freedmen’s Bureau to Workfare. His most recent book, Modernity and the Jews in Western Social Thought examines how Jews became a touchstone for defining modernity and national identity in French, German, and American social thought from the late nineteenth to early twentieth centuries. 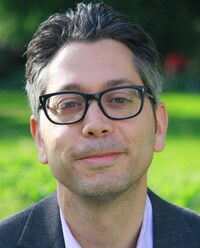 Alejandro Baer: Your book highlights how for classical theorists, such as Emile Durkheim, Karl Marx or Robert Park, Jews became reference points for the interpretation of the new modern social order. Why do Jews occupy this singular space in the theorizing of modernity? Chad Goldberg: To answer to this question, some people have pointed to the Jewish backgrounds of authors like Durkheim, Marx, Simmel, and Wirth. Others have suggested that the answer lies in the distinctive social positions that Jews occupied. There may be some truth to both views. Durkheim’s thinking, for example, was surely directed against the antisemitism of his milieu, and it’s true that German Jews were disproportionately engaged in commerce and more urbanized than the general population. But my book suggests another way to answer this question; I draw on the work of Lévi-Strauss to develop a relational (or, as others might say, structuralist) explanation.